Children kindergarten through sixth grade are invited to Lincoln Public Library for special activities honoring Martin Luther King Jr. The Logan County team of the Tri-County AmeriCorps is sponsoring the learning and activity day on Monday, Jan. 20. Activities will be offered from 1 to 4 p.m. in the Pegram Room of the library. Several booths will be set up to provide a time for fun and learning. The focus of the day will be on serving others and learning more about other cultures. The event is free. Vendor applications are now being accepted for Monticello Main Street's fourth annual Art & Garden Market. The market is a combination of art and garden vendors and welcomes potters, painters, creators of handmade jewelry, wood workers, photographers, sculptors and glass blowers; while the garden area will offer bedding plants, outside planters, herbs, concrete, copper and wire garden ornaments, birdhouses, and other garden accessories. The market is set for Saturday, May 3, on the square in downtown Monticello. There will be a $35 fee for booth space, and applications may be obtained by calling Monticello Main Street office at 762-9318 or e-mailing lindam@monticellopro.net. Tau Chapter of Delta Kappa Gamma met in December at Lincoln Public Library. 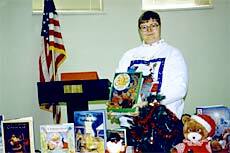 Member Elaine Knight, librarian for Lincoln Elementary District 27, presented the program about her large collection of various editions of the book “The Night Before Christmas.” Members also brought new books for kindergarten through eighth-grade children for the Penny Severns Family Literacy Program. The Delta Kappa Gamma Society is an international honor society of over 150,000 key women educators in 14 countries. The organization promotes professional and personal growth of women educators and excellence in education. Girl Scouts in Logan and surrounding counties who want to earn a badge in art have the opportunity to participate in several workshops scheduled at the Lincoln YMCA's art studio. Workshops begin Jan. 13 and include painting, lamp-working, floral design, three-dimensional art and papermaking. All workshops have a nominal fee and are open to the public. For more information about the YMCA art workshops or to register, please call Shanda Roderick at (217) 735-3915 or (800) 282-3520. Girl Scouting helps cultivate values and real-life skills so all girls will succeed as adults. Through the power of Girl Scouting and its all-girl environment, girls discover the fun, friendship and power of girls together. If you have that special quilting talent and are looking for an afternoon of companionship, please call The Oasis, 732-6132, for more details. There is room for your helping hands. The Oasis will be closed on Monday, Jan. 20, for Martin Luther King Day. Regular activities will resume on Tuesday with services provided by the Veterans Administration. Join us on Wednesday, Jan. 22, at 9 a.m. to hear Betty Larson, RN, of the Logan County Health Department address the issues in "Home Health Care for Seniors." This timely topic will answer the many questions you have, for yourself or someone you know needs assistance. Join the special trip to Havana on Feb. 1 for Eagle Days. 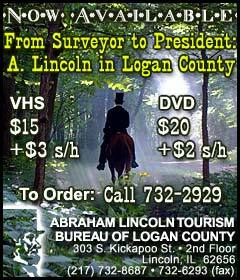 The trip includes a raptor show, lunch at Kracker's Korner Restaurant, a historic tour of Capone's house and shopping. The trip fee is $22 for members and $24 for nonmembers. Call 732-6132 for a reservation. Due to an unanticipated delivery delay for some equipment, the Feb. 4 start date for the meal program has been canceled. Please note on your calendars that instead the meal program will start at 11:30 a.m. on Feb. 11. 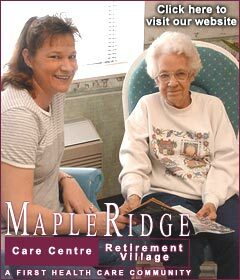 Pinochle winners recently were Jean Cypher, Marie Spaits, Mable Hoagland and Esther Will. The 5 in 1 winners were Bernie DePuy and Joannne Eckert. Announcement forms are available online! Print out yours, fill it out, and bring it or send it in to Lincoln Daily News. We welcome your pictures, black and white as well as color. This free service is extended to all of our readers. Your announcement will be posted online. Anyone, anywhere can read it! Aunt Betty in Florida, Uncle Bob in Alaska and Cousin Frank in Fiji can log in and read your announcement in Lincoln Daily News! Family and friends of Lowell Hines will be wishing him a happy 92nd birthday. Hines will celebrate his nine decades plus two years this Saturday, Jan 18. You can drop him a card at the Cochran building at the Christian Village in Lincoln. [JAN. 11, 2003] The Habitat for Humanity of Logan County selection committee has just announced that the Christopher and Jackie Hagan family of Mount Pulaski has been selected as the recipient of the next new house. The city of Mount Pulaski donated the parcel of land for the new home to the local organization. The groundbreaking and dedication is unscheduled but will occur in February. 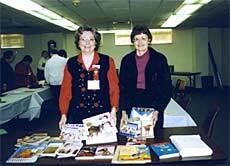 The Logan County Habitat chapter is celebrating its 10th anniversary in 2003. The anniversary will be kicked off with the pouring of the foundation for the Hagan house, which is tentatively scheduled for the later part of March. It is the seventh house to be built by the local chapter. Habitat's second annual Snowflake Ball will be on Feb. 1 at the Knights of Columbus Hall in Lincoln. Dinner will be served at 6 p.m., followed by music by The Nostalgics from 7 until 10 p.m. The Nostalgics perform tunes from the '40s and '50s for fun dancing. Local businesses Mitchell-Newhouse Lumber, The Carpet House and Lincoln IGA will be recognized at the dinner and dance for their continued support of Habitat for Humanity. Tickets can be obtained at the following locations: A.G. Edwards & Sons, Illini Bank, MKS Jewelers or by calling 732-6234.